I admit, when I first heard Cliffy B was doing a new game, I wasn’t particularly excited. I’m not really into Gears of War, and had no interest in a modern take on the classic online arena shooter. But then I watched this gameplay footage of what is now called Lawbreakers and, damn, I’m sold. It looks really fun and colourful, and the slick, kinetic combat reminds me of when shooters weren’t about crouching behind waist-high concrete blocks and taking potshots at terrorists. ‘Class-based multiplayer first-person shooter’ isn’t the most inspiring sell, and has been done many, many times before, but I like the look of this one. Sorry for doubting you, Dude Huge. In another victory for lazy journalism, like Andy I’m going to go for Lawbreakers. The reaction to the initial CG ‘reveal’ trailer was predictably, but I would also say understandably, cynical. We live in an era in which even the most mediocre TV drama is capable of CG that would have been denounced as witchcraft a few years ago, so good a CG trailer is no more indicative of final game quality than pictures of unicorns on a mood board is. Perhaps with that reaction in mind, Boss Key has wasted no time in getting the gameplay footage out, and I’m really digging it. The obvious comparison is going to be with Overwatch, Blizzard’s forthcoming colourful, free-to-play, team-based shooter. The look of Lawbreakers is slightly less cartoony, but still plenty fun. Watching it, I was actually reminded of the mighty TimeSplitters 2 (which will help you pinpoint my advancing years), and that’s about as positive as compliments come when it comes to breakneck multiplayer FPS. Hopefully it feels as fun. We should be finding out soon. I watched The Hobbit: The Battle of Five Armies this week. It's pants, but it does feature extended scenes of dwarves doing war. All I could think as I watched grey dwarves bash into grey orcs was "Warhammer could do this better". The very next day, The Creative Assembly gave us a glimpse of Total War: Warhammer's dwarves (or "dwarfs", in Games Workshop parlance) and they are much better. They're colourful, and stocky, and swing a hammer as well as a four-foot cube of muscle can. 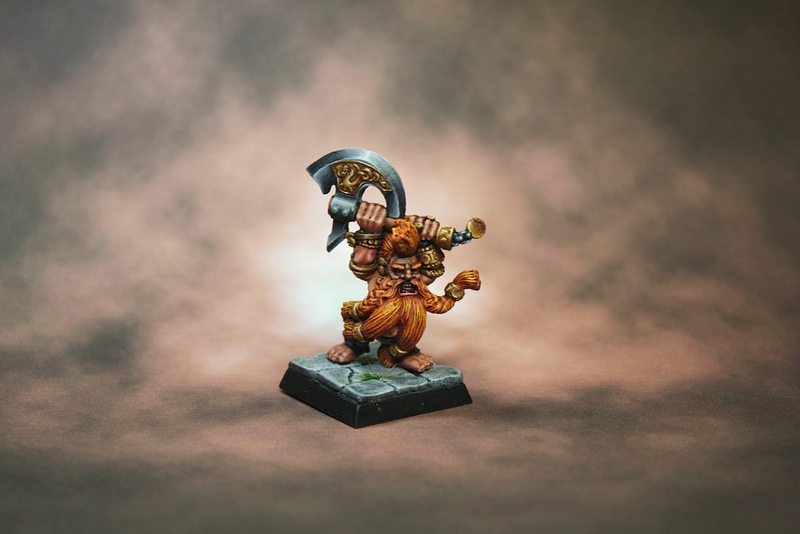 Five Armies imagined dwarves as plate-mail clad tanks who fight in perfect unison, but really dwarves ought to fight with the shambolic disorder of a mob very much enjoying itself. I can't wait to see more, especially if the game includes Warhammer's mostly-naked Troll Slayers. XCOM 2 is one of my most anticipated games along with Fallout 4, Star Wars and Hitman—and this week Firaxis announced that it’s moving the turn-based strategy game to a new release date in February of next year. I actually don’t think it’s the worst thing in the world for one of the many huge games coming out this Winter to move to early 2016. This year is going to be insane for new games. If XCOM 2 was the only game you were excited about this year, then it’s a huge blow, but there’s so many other releases to look forward to from now until the end of the year: MGS V, Fallout 4, Hitman, Star Wars Battlefront, Adrift, Soma, Rainbow Six Siege, Mad Max, Just Cause 3, Arkham Knight returning to PC without being appalling and the yearly regulars. It’s going to be carnage for your wallets in the next few months. XCOM 2 may well end up being better than all of those games, and if Firaxis needs the extra time to get it right, I think I can handle the wait given how much I’ll have to play in the meantime. I'm not often an early adopter of anything, but I did generate an interest in sabermetrics before most, due to the work of a number of talented baseball writers and analysts. At the time, sabermetrics was the new school of baseball thought, a way to collect and interpret statistics that defied a number of hallowed baseball traditions. So I quickly became the sort of snooty fan who was annoyed with things like bringing in the closer only in the 9th inning (when the real batting threats may be due up in the 8th), or the practice of putting a speedy player in the lineup first instead of the player with the best chance of getting on base, and especially with bunting to move runners into scoring position. Sacrifice bunting became repulsive to me! Willingly giving away outs in baseball is, in my mind, a crime punishable by scorn. So there I was this week, Mr. I Sneer At Conventional Baseball Wisdom, playing Super Mega Baseball (which I quite enjoyed). I had just cranked up the difficulty level to the point where I was perfectly matched with my opponent, and well into the game neither of us had scored a run or even gotten many hits. Finally, I caught a break, drove a frozen rope into the gap, and collected a stand-up triple. I immediately knew what I had to do. I had to betray my own love of sabermetrics. I had to go for the squeeze. I had to sac bunt. I sent my runner from third before the pitch—the runner was actually me, a player I'd named Chris Livingston—and had the batter hunch in for a bunt. It went perfectly, dribbling down the third base line, no chance for a play at the plate. The batter was out at first, but I scored what would turn out to be the winning run. Sorry, all you baseball managers, for all my scorn over the years. Sometimes—very rarely!—the sac bunt is worth it. Double Fine recently put out a trailer and some information about their new Adult Swim published game, Headlander. The whole premise is outright dumb, which is why I’m on board. You play as a disembodied head inside a helmet that can rocket around and attach itself to the robots strewn about the retro-futuristic sci-fi world. Your goal is to figure out what the hell happened to humanity in a deranged, uncanny future. Since it’s essentially touted as a funny, puzzly Metroid with a minimal focus on combat, I’m pretty excited. You say ‘Metroid’ and I melt. What’s more pleasing is to Adult Swim dive even deeper into the industry as a publisher. They brought us the inexplicable, lovely Jazzpunk, but don’t stray from the grim; Death’s Gambit is in the oven and looks pretty neat. Point is, they’re carving out a creative, distinct space and should not be ignored.